I wrote a book. In that book are characters. My characters are 100% alive in my head. They've lived lives and had experiences that shape them as people. It's rare that I know a character's back-story until they tell it to me as I'm writing them. And one of my characters took me somewhere I never imagined I'd go, straight into the middle of 9/11. Everyone remembers where they were twelve years ago today. We'd moved from Boston to California a few years earlier so, being on the west coast, I woke up to the horror. We knew people who worked in the World Trade Center, but, thankfully, the only thing we lost in the attacks was a birthday gift. My daughter's birthday is September 16th and my mother-in-law had mailed her birthday gift from Cape Cod on the 10th. It never arrived, and the post office confirmed that it would have been trucked up to Logan Airport (Boston) the evening of the 10th and put on the first commercial jet heading to California in the morning. I can't even watch the video of the planes crashing into the towers and the towers falling. I still get that cold finger up my spine when I think about it. My heart goes out to everyone who lost someone that horrible day. In addition to all the brave first responders and the loved ones we lost, some of us lost our sense of security. But then, something amazing happened. We all took comfort in each other. We band together with our neighbors and became stronger as individuals and a nation. In all the horror, that was the gift. In our, "me first" society, people seemed to remember that it's not all about "me." For a short time, all the selfish seemed to run out of people and compassion replaced it. So, on this twfelth anniversary of one of the worst days in our nation's history, I hope we can all remember what it felt like to care about others more than ourselves. If we can find a little of that in ourselves everyday, we can change the world. thank you for sharing! We will never forget! AMEN! 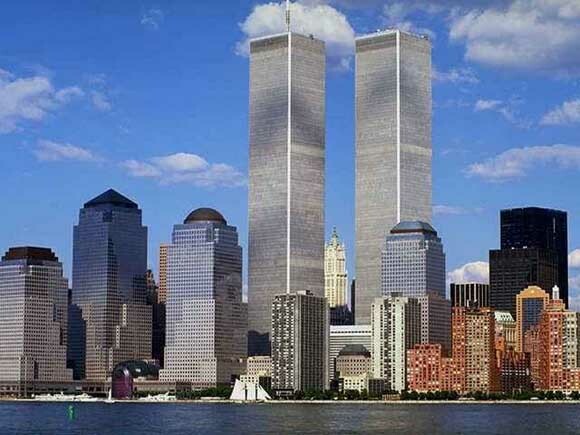 I live in Phoenix, and my fiance' (who was from NY) and I were awakened by his daughters in Maine (who'd been up awhile) telling us to turn on the tv and that a plane had it the World Trade Center. We watched in horror at the footage of the first plane hitting the tower. To me it did not look like an accident, it looked deliberate immediately. Then the 2nd plane hit. The situation became more horrifying as unbelievably the towers collapsed and then the other planes hit the Pentagon and the last crashed into a field thanks to regular folks who rallied to the signal: "Let's Roll" I will NEVER forget! We participated in a candlight vigil in our neighborhood as part of a national event. We were bonded more closely than ever. I love your call to action: I hope we can all remember what it felt like to care about others more than ourselves. If we can find a little of that in ourselves everyday, we can change the world. I too pray for this! Blessings!